I have always been convinced that children need to read texts with high cultural capital. It is only in the last five or so years that I have begun to think more carefully about reading, and why it is so vital every child reads in every lesson, and how we can go about checking children’s reading. But I have really neglected to think about writing. In my early years as a teacher, I would get children to do ‘extended writing’ for fifteen to twenty minutes every lesson. More recently, I began to see the merit of using short-answer comprehension questions to check children’s understanding. 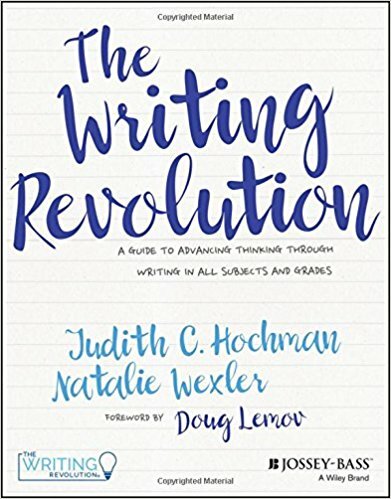 What The Writing Revolution provides is both a revolutionary rethink on how we teach writing across a school, and some really easy-to-integrate, sensible activities to help hone students’ writing skills. Below are some key take-aways for me. Just like reading, the more rigorous the content studied, the more challenging the writing required. Writing about a very simple text is much simpler than synthesising the key elements in a very complex one. …but children need to be able to expand on that statement in a variety of ways. The authors use the connectives because, but and so. Using these, you can really see how much children have really understood of the teacher instruction and the text read. In his foreword, Doug Lemov gives an example to illustrate this: if the sentence stem is: ‘the Great Fire of London burned 4/5 of the city,’ the three sentences the student writes might be: ‘The Great Fire of London burned 4/5 of the city, because at the time, citizens didn’t have the knowledge to stop the fire before it spread;’ ‘The Great Fire of London burned 4/5 of the city, but London survived and thrived;’ ‘The Great Fire of London burned 4/5 of the city, so the city was rebuilt as a result.’ After reading a complex text, we can give students a sentence stem and get them to finish it in these three ways to encourage them to apply their knowledge, as well as focusing on creating a grammatically accurate sentence before they are ready to write long paragraphs. Taking notes by pen consolidates understanding. Children putting ideas into their own words is invaluable in helping them to process what they are learning. We need to explicitly teach children how to take notes, and explicitly teach them the signs and symbols associated with note taking. We need to teach children: topic sentences, sentences of supporting detail and concluding sentences. Using this language across subjects will help to ensure student paragraphs are more coherent. Likewise, teaching the three ‘transition’ types and the associated words (time and sequence transitions like ‘first’, ‘second’, ‘finally’; conclusion transitions like ‘in closing’, ‘consequently’, ‘in the end’ and illustration transitions like ‘for example’, ‘such as’, ‘particularly’) will help to add coherence to student writing. We need to explicitly teach children some helpful words to introduce quotations and drill them so they practise this – getting students to embed quotations is notoriously tricky. I think almost all English teachers already do this, but perhaps some feel like they shouldn’t. I think we should feel happier about drilling ‘Shakespeare writes’ and ‘Romeo states’ because this is the crucial first step to accuracy, without which children can never move on to use their own insight and creativity to express their ideas more originally. After quoting, we need to teach children to paraphrase the quotation to display their understanding immediately after using it, again by teaching some useful fragments like: ‘in other words…’, ‘therefore, according to the author…’ ‘Romeo’s point is that…’ With my intervention group of year 11s, I’ve simply introduced ‘this means…’ which has really revealed to me who understands the quotation and who does not. One of the best tasks the iGCSE English required, in my view, was that students write ten bullet points (not in full sentences) about a text and then made these into a short summary. Summarising is a helpful skill in and of itself, but it is also a great activity to consolidate learning in the acquisition phase, and one that is easily incorporated into lessons. The authors provide some incredibly useful scaffolds in their book to develop summary writing even further. The authors break down the art of the essay into really manageable steps, including writing a thesis statement and then supporting it with paragraphs that are developed using a very clear and simple scaffolded plan, relying on student knowledge of the sentence types outlined above. If we teach the individual elements of writing, crafting the essay draws on this explicit knowledge and helps students to form cogent arguments. There is a lot more to The Writing Revolution that I haven’t covered. Every school’s current situation will be different, and for me the aspects above are the most pressing ones for us to address now. Yet all of the above seems, to me, entirely manageable with a few tweaks. The beauty of The Writing Revolution is that a few tweaks will lead to a lot of gains in learning. West London Free School is well known as the flagship free school. Opened in 2011 by a parent group and spearheaded by the indomitable Toby Young, it has championed a knowledge-rich curriculum, and attracted a number of luminaries of traditional education to work there. I arrived for my visit at lunch break, and was met with the very usual sound of a playground full of excited children. The outdoor space, as with so many London schools, is limited, which does have the benefit of ensuring the children are really looked after by teachers. As the children merrily chatted, teachers weaved in and out of friendship groups, chatting with their charges. West London Free School’s corridors are not silent, but I did note a marked difference between volume on the playground and the volume as the kids filed into lessons after the bell rang. There was a low whisper between some as they made their way into their classrooms, and behaviour expectations were rigorously reinforced. Expectations of pupils’ behaviour were high, with the result that across the school the worst behaviour I saw was some covert whispering, generally spotted quickly by teachers, who dealt with it with meaningful pauses or ‘the teacher stare’ rather than sanctions. Across the school – across year groups, subject areas, and ability groups – the pupils’ focus was superb. The atmosphere in classes was one of concentration, but also energy. I firmly believe that this is because the children at West London Free School know they are learning. In every classroom I visited, the teacher’s style was traditional. Desks were in rows, and teachers were at the front, often sitting and commanding the class with their (clearly expert) subject knowledge. In year 11 English, the teacher led a whole-class discussion as pupils annotated the poem. The only resources being used were the GCSE anthology and a pen. The teacher’s own copy had been annotated in huge detail, showing her lesson preparation and own subject knowledge. In year 10 History, pupils were learning about the suffragettes, using the textbook with teacher guidance, additional information and questioning to extend their learning. In year 8 Classics, the pupils listened to a reading of Homer’s ‘The Odyssey’ while taking notes about what they were hearing. Lesson changeover was tricky, as the school is served by one narrow staircase, and moving that many children up and down is always going to be a challenge. Yet the trainee science teacher I saw moved from entry to beginning the pupils’ learning in under two minutes, with every child focused. The Head of Science played a large role in her corridor, popping into every science classroom to support with settling pupils rapidly. I can’t finish this post without mentioning the children of WLFS. I know children are always lovely, but I was really struck by the politeness of every pupil I encountered. In every lesson, they moved their books so I could see them, often whispering to me to explain what they were learning. In every room I went into, pupils stood ‘for the visitor’ and were unfailingly polite and welcoming and happy. They are an absolute credit to their teachers and their community. Visiting West London Free School gave me great hope for the knowledge community. It is clear to see that when children behave, and teachers know their subject and prepare well for their lessons, a really lovely atmosphere of focus and achievement can be created. I am very excited to see what the next chapter for West London Free School holds. Across the school, and including in cover lessons, behaviour is exemplary. One class’s teacher employed Doug Lemov’s ‘do it again’ technique to line up her class anew outside when there was ‘some silliness’ on the stairs (standing in the stairwell, I heard nothing). Standards are very high here. 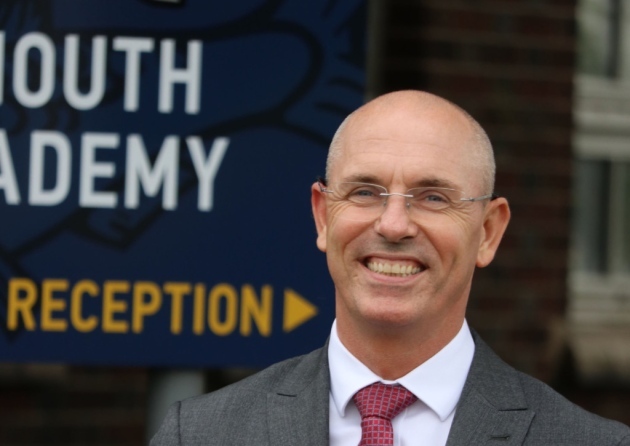 Executive Principal Stuart Lock tours the school, asking of teachers his trademark: ‘is everything to your satisfaction, sir/miss?’ to provide a supportive climate for teachers. Bedford’s context is unusual: a commuter town to London in part, it is said that a larger than average number of children attend long-established private schools. The intake of state schools in Bedford, therefore, doesn’t always reflect the full demographics of the area. Apart from behaviour, I was struck by the knowledge focus of the school. All children carry ‘100% books’, which contain knowledge maps collating the core knowledge of each subject. These are referred to, used, and tested across subject lessons. In History, pupils began their lesson by filling in a partially blanked-out knowledge map, allowing the teacher to assess their recall. In Art, pupils completed a knowledge-based end of unit exam, where they were asked to identify paintings and techniques, among other aspects. In Science, I saw a teacher going over a recent exam practice paper, re-teaching questions the class had struggled with. 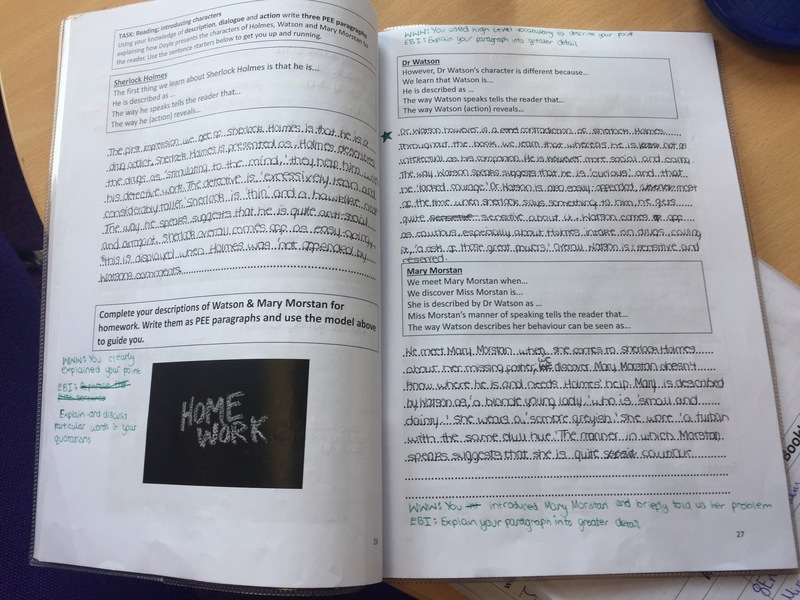 The school is increasingly using booklets like these in English to ensure pupils’ focus is on the text and linked questions, and this has led to remarkable consistency across classrooms. The writing in these booklets is supplemented by work in their books. Every pupil reads for 30 minutes a day in what the school calls ‘DEAR (Drop Everything and Read) time’, but which is improved immeasurably by having the whole class read a text together with a teacher, thus ensuring all pupils are held accountable to be reading during this time, and no child can just stare into space. This also ensures the pupils are constantly being exposed to high quality texts, improving both their literacy and their cultural literacy. In addition to academics, the school day is structured using ‘electives’ built into the timetable, so every child enjoys extra-curricular activities. Incredibly, last year 92% of pupils at the school participated competitively in a school sports team, despite the fact that the school cannot host matches due to its lack of facilities. As with all the best schools I have visited, the focus is on relentless improvement, and there is no complacency. 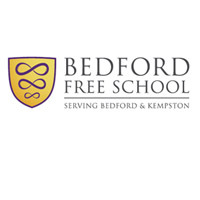 Stuart and his team are working hard each day to tweak the conditions to ensure every pupil at Bedford Free School can achieve their full potential. About twenty minutes walk from Great Yarmouth train station is a school where every child will greet a visitor with a smile and a ‘good morning miss!’ It is a school where children will merrily chat about their learning. Where they are relentlessly polite, happy and friendly. Where they are proud of their school. At the same school, teachers are encouraged to ‘lecture’ while children listen. They are unfrazzled. No one is racing anywhere. They are relentlessly happy and excited about what is happening to their school. And so they should be. Because last year, 21 of every 30 children who attended the school did not get even a 4 in English and Maths. Behaviour was out of control. ‘Last year nearly broke me,’ said one teacher. It is the last week of November. How on earth has new Headteacher Barry Smith managed to put in place this much change in less than two half terms? ‘It had transformed within two weeks,’ one teacher tells me. Barry spent the inset days modelling exactly what he wanted all teachers to do: I would have loved to see the teachers, filed into rows in the dining hall, being taught to SLANT by him. They worked through their own distinct ‘Being Charter’ booklet on behaviour expectations just as the children would when they arrived later in the week. Barry roams the school during lessons. Even children on their way to isolation are polite, making eye-contact and calling him ‘sir.’ There are three children in isolation when I visit that afternoon. Teachers are effusive in their praise of his leadership. They explain to me something I saw a lot when I worked with Barry at Michaela: he ‘bigs teachers up’ in front of the kids (‘sir, where did you go to university again? Cambridge? Wow – lucky kids!’) He is the heart and soul of the school. 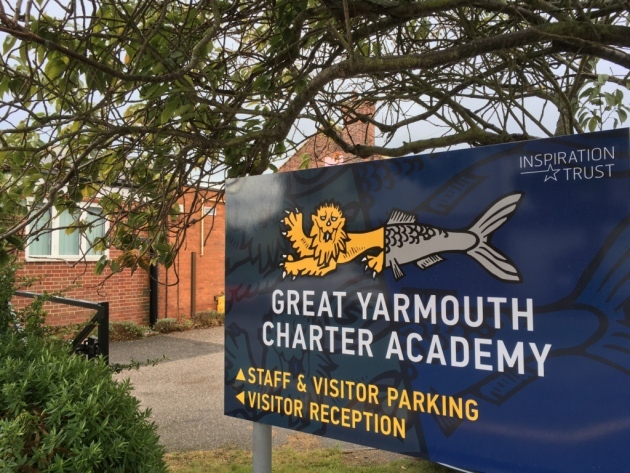 But it’s not personality that has transformed Great Yarmouth Charter – it is systems. Barry has introduced a simple behaviour system, and works tirelessly to ensure all teachers follow it consistently. As a result, children across year groups and subjects are listening, focusing, learning. Their books are consistently beautifully presented, and work is always neat. They are silent, or very close to it, at every transition, even when no teacher is present. In the lunch hall, when one member of staff puts their hand up, 300 year 10 and 11 students put their hands up and are silent, including midway through eating lunch for an important announcement. The best thing about great behaviour is that it frees children up to be excited about learning. Over lunch, a year 11 buzzed as she told me her favourite Shakespeare play (Much Ado About Nothing), and she and her friends spontaneously debated culpability in An Inspector Calls. Outside Miss Rizvi’s Maths classroom, year 8s beamed that they ‘knew all the squared numbers off by heart,’ and proceeded to chant them with their teacher’s blessing. One Teach Firster in his second year was glowing; in his element after a tough first year battling behaviour. I asked what his plans were – would he stay in teaching? ‘Yes,’ came the reply, without hesitation. And then, unprompted: ‘I want to stay here. Something really special is happening here right now.’ It would be madness to disagree. At Michaela, we aren’t only focused on our kids working hard, learning loads and achieving great grades. We also want them to be happy. We think long and hard about how we can foster our kids’ happiness, and, having read wisdom literature, there are three strands to building a happier life that we focus on: gratitude, personal responsibility and duty. In a TED talk, David Steindel-Rast says: ‘It is not happiness that makes us grateful. It’s gratefulness that makes us happy.’ As adults, we have come to find that it is better to give than to receive. Wisdom literature tells us that the more grateful we are, the happier we are; that is why all religions set aside prayers to thank God for what we are given. In secular life, we know that counting our blessings helps us to focus on what we have rather than what we lack, something an increasingly materialistic society wishes us to dwell on. At Michaela, we know that kids are not naturally grateful – in fact, it is often the opposite. They are surrounded by images of acquisition with constant advertising and MTV-style programmes of the rich and famous, not to mention social media allowing the kids to see the extraordinarily luxurious lives of their idols. To foster gratitude, we have daily appreciations at lunchtime. The kids take it in turns to say who they are grateful to that day, and for what. We choose ten to twenty children each day to stand up and say, in front of the whole lunchroom (some 180 children and adults) who they are grateful to and why. You can see an example of this in action in this video at around 1:20. A couple of times a term, tutors also allow pupils the opportunity to write postcards. The pupils are encouraged to write their thanks to a teacher or member of staff who has really helped them. For teachers, there is nothing better than finding a handful of postcards in our pigeon holes with messages of gratitude. We teachers also remember to be grateful to our wonderful kids: every week, every teacher writes three to ten postcards to members of their classes who have made a real effort or really impressed us that week. When we believe events to be outside our control, we find life endlessly frustrating. We are stymied in our efforts by continually thinking: if only this wasn’t the case! If only this had happened instead! It is a frustrating way to live, because we cannot control the actions of others. If we focus on how others behave, we will often find ourselves at a dead end, unable to reach our goals. If, on the other hand, we focus on our own locus of control, we feel much more content. If we are unhappy with how something has gone, instead of blaming the wider world, we instead focus our attention on the things we could have done differently. So, for example, if a pupil finds themself in a detention they perceive as unfair, we have a conversation with them to talk them through to taking responsibility. ‘But I was whispering because the boy next to me was whispering to me first! Why did I get the detention but he didn’t?’ This reaction leads to anger and resentment. The children feel unhappy that a punishment seems to have been given unfairly. It is hard for kids to understand that teachers are never omniscient, and we can’t catch every infraction. We turn this conversation around by first emphasising that we have strict rules and detentions so that the children can have a peaceful and calm environment to learn in. We then refocus the child on what they can do differently. What can they do next time to change their consequences? Not talk back. If someone whispers to them, they cannot control that person’s actions but they can control their own, and how they respond. Taking responsibility is always better than blaming others. As adults, we know that the best people take the blame and are honest when they get something wrong. As adults, we feel happier when we know we can change things for the future. We want our kids to learn that lesson too. Modern Western society encourages us to think about our dreams: what do we dream of doing with our lives? What do we dream of achieving? What do we dream of having? Yet focusing on ourselves and what we hope to get, acquire, achieve is not the route to happiness. Inevitably, things will happen in all of our lives to prevent us from ever enjoying the ideal life. If, instead, we focus on our duty, we can find a surer route to happiness. Duty means finding your contribution. It is not what you can get from society that we should focus on, but what you can give to society. This was a lesson I learned over many years. I was always very ambitious and very self-focused, never satisfied with what I was achieving, and never just enjoying life for what it was. In taking a demotion to join Michaela, I hugely struggled with my ambitious side. Yet over time I realised that if I focused on my duty instead of my ego, I would be happier. My ego wanted to feel important; but my duty was to contribute to what I firmly believe is a ground-breaking, paradigm-shifting school. To focus on position is frustrating; to focus on what you can contribute to a movement is exciting. Similarly, we often talk to our kids about legacy: what legacy do you want to leave in the world? What will your contribution be? It can’t be about how much money they want to earn, or how many accolades they wish to be given. Instead, if they focus on what they can give and contribute they will lead happier, more fulfilling lives. I have written and spoken at length about simplification. In short, I have come to believe that a knowledge curriculum simplifies everything we do as teachers. Rather than considering engagement, entertainment, or pupil interest, a knowledge curriculum relentlessly and ruthlessly prioritises kids learning stuff in the most effective way: that is, reading it, writing about it, and being quizzed on it. Not only are the above techniques unnecessarily complicated, they almost never gave me any useful information about what my kids could do. For our bi-annual exams, pupils write an essay or, in subjects like Science or Maths, complete an exam paper that tests their ability to apply their knowledge. They also complete two to five ‘knowledge exams,’ which are simply open answer questions about everything they have learned that year. (Example questions from English could be: ‘What is a simile? When did Queen Elizabeth die? When was Macbeth first performed and where?’) We don’t painstakingly mark every paper – instead we sort them swiftly into three piles: A, B and C. A quick glance can tell us how a pupil has done – lots of gaps is a C, a sample glance at a number of correct answers and all questions attempted with a well-worked extension an A; everything in the middle a B. The reason we can assess so simply is that in a knowledge curriculum there is a correct answer. There are, though we love to deny it, right and wrong things to say about literature. At Michaela, we are explicit about this. When I asked for pupil inferences about Curley’s wife in Of Mice and Men in my previous school, I remember asking them what the colour red could symbolise. Their answer, ‘jam,’ was simply wrong. What we do at Michaela is to codify the knowledge we want the pupils to learn, teach that knowledge, and then relentlessly test that knowledge.